Twenty years ago, Mary Jo Salter published Sunday Skaters, a very fine collection of poems that touches on themes and ideas that longtime readers would be likely to recognize as signature preoccupations (mother-daughter dynamics, elegy, history and historical figures, images of clocks, of hands, of snow; and a delight in unexpected double meanings that arise from having heard or read something wrongly). The book includes poems about her relationships with both her mother and her (then) young children, disoriented reflections on a year spent in Iceland, lighthearted and serious contemplations on marriage, her own as well as an alternately poignant and humorously aphoristic wedding benediction for an unnamed younger couple. Around the midpoint of Sunday Skaters there’s a poem titled “Two Prayers,” set in an airplane just before takeoff. The poem is quintessential Salter: self-effacing humor, puns, malapropisms and serendipitous mishearings – and her other throughline-preoccupation: a substrate (tarmac in this case) of existential dread. Speakers in Salter’s poems, always thoughtfully observed and compellingly human, often exude a fear of being exposed as somehow not normal, or not… well, not grounded. …Why not escape this death-berth now? I resolve, instead, to die. My girls off Mother Earth? but my advice is, try to rise above that. Independence Day indeed. But look: the poet who twenty years ago would have sat still for certain death (because “it wouldn’t be polite” to save herself) is no longer a passenger: she’s the pilot. Ask a handful of “formalist” or prosody-centric poets why they are drawn to those patterns and you’ll likely get a range of answers; something about musicality, something about making rules for the sheer jarring joy of breaking them, something about so-called constraint creating different opportunities than so-called freedom does. For Salter, I’d guess all of those answers apply, and she nods to the idea in “Crusoe’s Footprint,” as she toys with the evanescence of footprints in sand and the quixotic drive to “set free memories otherwise confined” by operating within the framework of one of the most notoriously confining and irksome of all iambic (“footed”) forms: it’s not every day you read a poem three times before you even notice it’s a sestina; the form’s tyrannical rules make writing an interesting and non-ham-fisted one almost impossible. And yet, voila. Salter harnesses the form’s natural sense of insistence and cogitation while remaining so fleet-footed (yes, I said fleet-footed) you are never distracted by its sestina-ness or pulled out of the gorgeous matrix of word and idea to admire how bloody clever it is. Not because it isn’t clever but because it is that clever. read our new poems aloud. 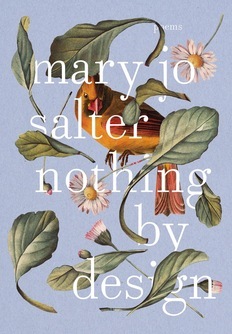 Nothing By Design is full of Salter’s characteristic humility and keen sense of correlation; the same graciousness, the same interplay of light and dark, public and private. Salter is one of those (unfortunately) unusual poets who possesses the ability to look her personal life in the eye without solipsism and to take on complicated historical subjects without being dull or didactic (she is quick to acknowledge her own literary ancestors and peers, another sort of “received form,” if you will; in this collection she writes about, or explicitly addresses, Elizabeth Bishop, Amy Clampitt, Richard Wilbur, Joseph Brodsky, and William Blake – all exacting and unique designers themselves). I’ve referred to her as a gem-cutter, and I’m not inclined to back off of that trope even if her new business card reads Budget Aircraft Pilot. Her deft, delicate observations find the most interesting facets and inclusions in even the smallest and most mundane things. She can make just about anything catch the light. For those familiar with Salter’s earlier work, I will simply say this is her best book yet, period. For any who have yet to read her work: if your tastes run exclusively toward the kind of poetry that is so hermetically personal you’ll never know for sure what it means – this isn’t your book. Salter is a poet who is interested in being understood. If you break out in hives at the thought of poetry that acknowledges a debt to anything predating the debut reading of Howl in 1956, or if you require a militant manifesto against prosody or form, Salter might frustrate you. She is a prosodic virtuoso, and a sly one, often turning form on its ear or subverting it in ways you didn’t see coming. Assuming you do not fall into one of those categories of reader, I can’t recommend this book highly enough – it is a beauty, an ingenious work of correlation and convergence, chaos and coherence. Mary Jo Salter has always had a strong voice, has always understood who she is on the page – that degree of graciousness and humility requires tremendous self-awareness and confidence and fellow-feeling. She has lost none of those with this book, but that voice has changed – and it now has a microphone and you know what, you’re going to listen. Amy Glynn is the author of A Modern Herbal. Her work has appeared in New England Review, Southwest Review, The New Criterion, The Best American Poetry 2010 and 2012, and elsewhere. 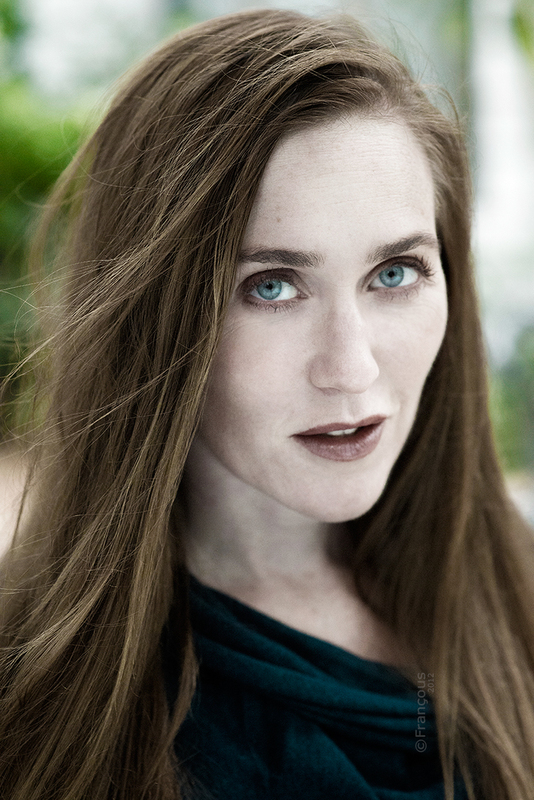 She has received a Morton Marr Prize and a Dorothy Sargeant Rosenberg Award, and was the first recipient of Poetry Northwest‘s Carolyn Kizer award. Read more from Mary Jo Salter at Poetry Northwest here. Read more from Amy Glynn at Poetry Northwest here.